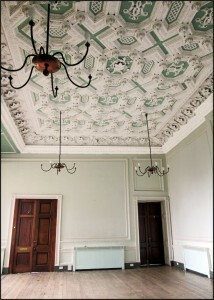 This room was designed by Jeffry Wyatt c 1812. 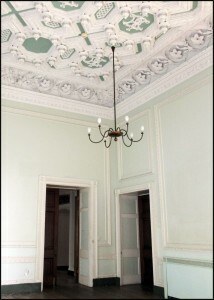 Its use was intended to be that of an ante-room, leading to Wyatt’s more important Library and Music Room. 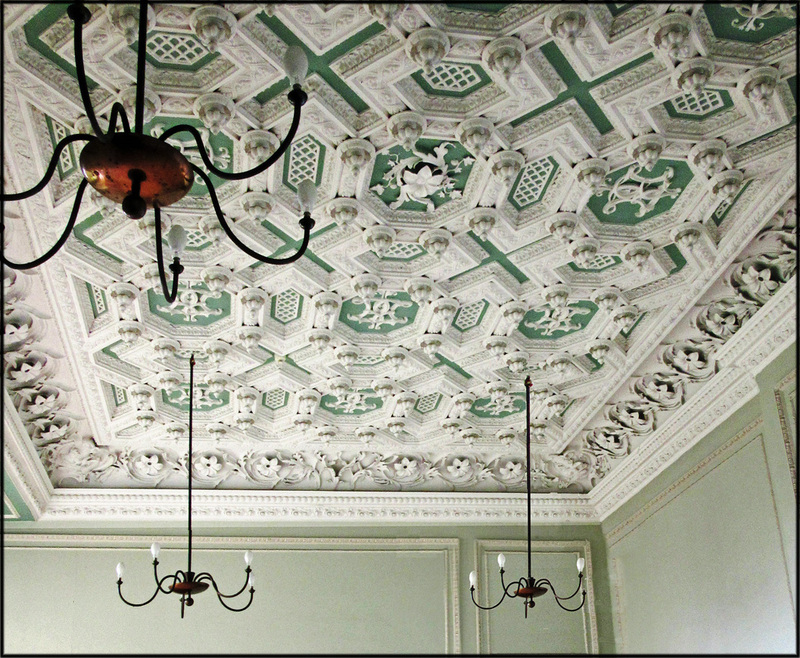 It has a heavy ceiling in the Jacobean manner, and the usual heavy mahogany doors, but there are no other redeeming architectural features. During the 1930s it was known as the Tapestry Drawing Room, and some photographs exist showing a set of large tapestries against green draped hangings. 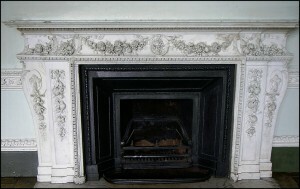 The fireplace is one of four that were left in place in the mansion when the Allendales sold the property in 1948. 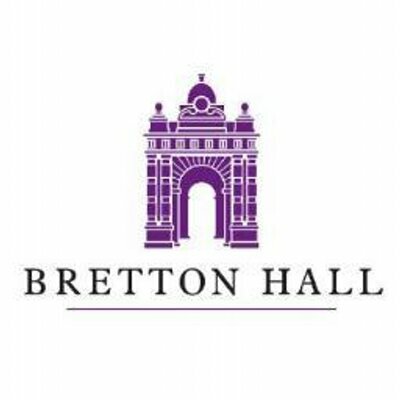 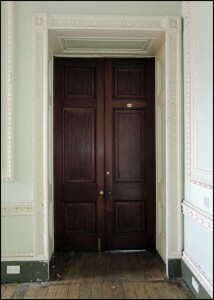 Doorways leading to the Library (left) and Music Room. Doors leading to Vestibule (left) and Yellow Drawing Room. 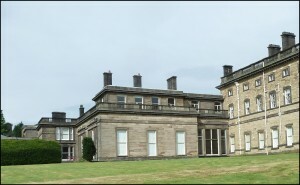 The large ground-floor room with three tall windows is the Library. 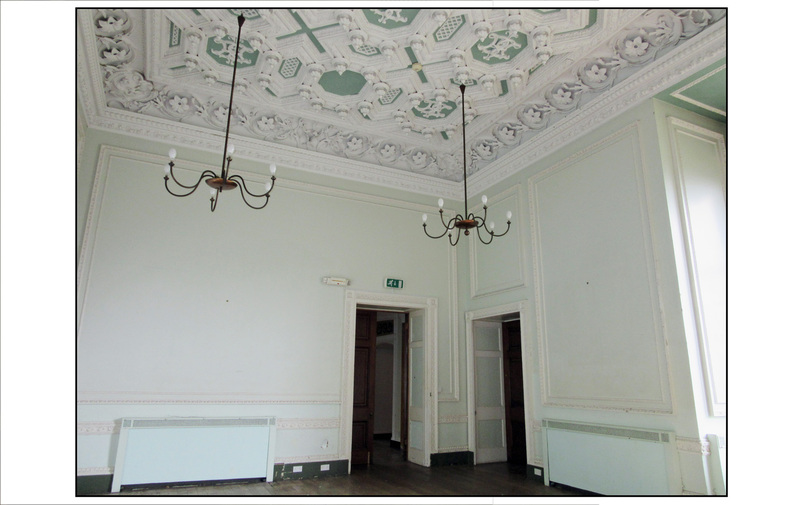 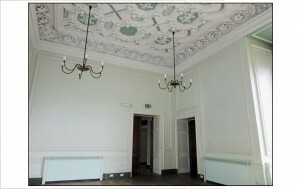 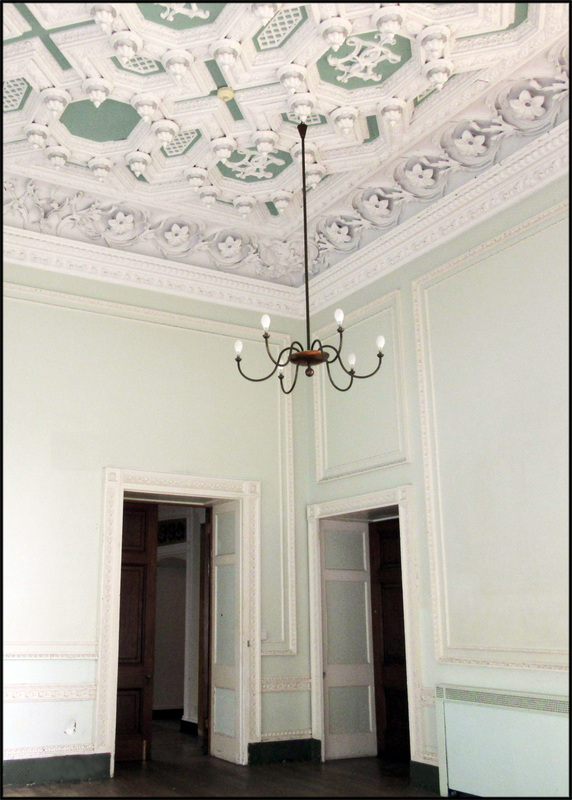 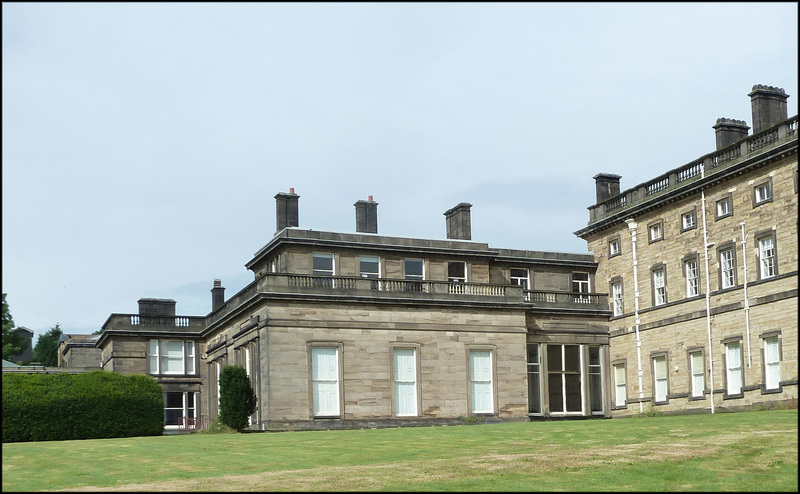 The recessed windows on its right are the source of light to the Tapestry Drawing Room. 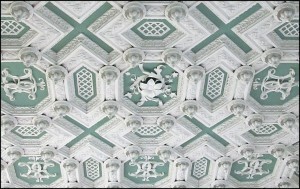 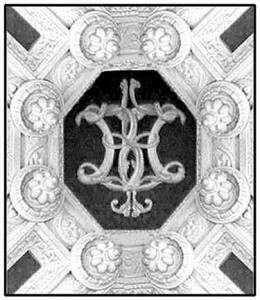 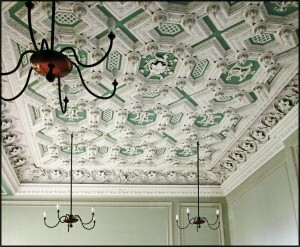 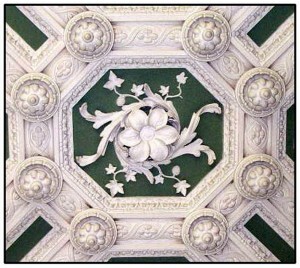 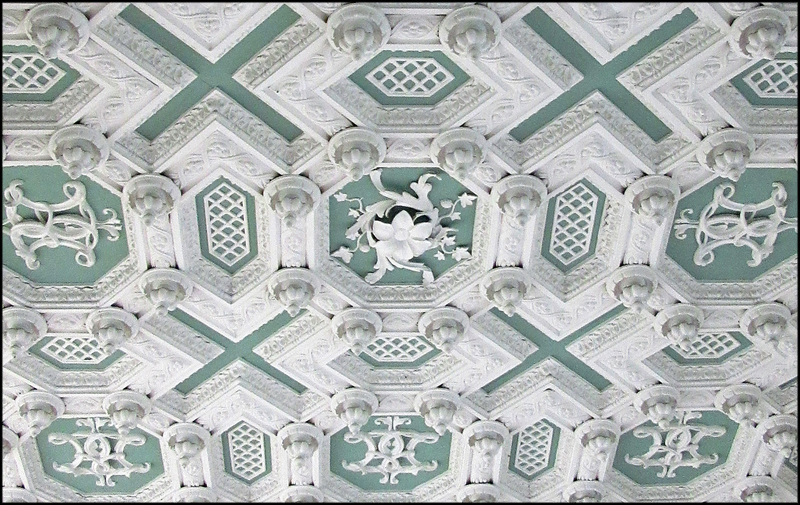 Heavily embossed ceiling of the Jacobean style.